Looking for reputable Commercial Movers in Davie, Florida? Then a commercial moving Davie company like Mint Movers will get the job completed. As experienced Davie office movers, we've got the experience and personnel to manage any move - large or small. Relax knowing your valuable belongings will be handled with the utmost care. As a fully insured commercial moving service, you will enjoy flat rates and a damage-free guarantee. Mint Movers is your team of professional commercial movers in Davie, FL, known for its efficient and hassle-free commercial relocation services. We have a license to operate in Davie, and we have complied with all the necessary permits. Our comprehensive insurance coverage ensures that your belongings are covered in case of any mishap while they are under our care. Our team is licensed to move your things within and outside the city. We provide stress-free commercial relocation services with transparent flat rates. 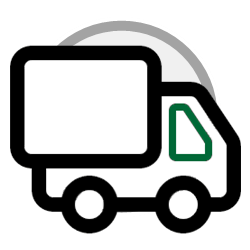 Unlike other office moving companies, we offer rates that you can easily afford. We are a well-experienced team of workers who can provide seamless and hassle-free office moves any time of the week. Our company will always make sure that you enjoy hassle-free transaction every time you book a moving service with our team. It pays to have a reliable company who can come on time for your scheduled moving date. Mint Movers has been serving the area with top-notch commercial relocation services for many years, helping hundreds of business owners in Davie, FL transfer their belongings with ease. Our company uses tried and tested packing techniques to ensure the safety of your items. We are one of the office moving companies that employ a unique packing method to ensure that all your belongings are handled with care and transported to your new business relocation safely and in pristine condition. Our team of professionals has years’ worth of training and experience in managing the relocation of many companies located in the area, so you’re assured to get only the best value for money. Our company follows very strict regulations imposed by the state for office moving companies. We follow very high standards at our company. We are very cordial in talking to each of our customers, and we are very open about the costs of the services we offer. All costs and service fee for packaging your belongings are accounted for on the quotations for your perusal and review. Whenever we get a call from our corporate clients, we present all the available options for their office moves. Our office movers will see to it that we follow flat rates when creating our package quotes. We are committed to making office move convenient for you and your team. Mint Movers has been around for many years. Our office moving company never gets tired of offering rates that are lower than most companies in Davie, FL. Our company is the best provider of commercial relocation services in the area, and we guarantee that. We have high quality packing tapes and packing papers than what most companies are using. We have made our services much more convenient with our different sizes of moving boxes and heavy-duty shrink wraps. Our team has been providing reliable services for a very long time, which helped us become one of the most trusted commercial moving companies in Davie. With our skilled and well-experienced corporate movers, no relocation service is too hard to handle. We are a commercial relocation company that specializes in providing effective moving solutions for your businesses. Our account manager and commercial movers in Davie, Florida will guide you through the entire process. Our team can vouch for your office valuables’ safety and security, regardless of their size or shape. As your number one commercial moving company, we work hard to maintain our very high standard in conducting relocation services in Davie, FL. Our team has handled thousands of moving services in the area. We have also assisted a great number of company employees in relocating to their new homes. Our team has been assisting clients with their relocation needs for a long time. Thanks to our experience and knowledge in navigating through the city, we can transport your things from your old office to the new one without any problem. As one of the most recommended companies in the area, we provide personalized service with clearly-defined and fair quotes. Our office moves in Davie will surely fit your needs. We will help you run your business in your new location through our inexpensive commercial moving services. You will never worry about finding the best workers in the area to carry your things. Mint Movers is your top-performing packers and movers in the area. You can always take comfort in knowing that your belongings will receive the best treatment. We have plenty of relocation package jobs that you can avail of. We have a proven track record of being one of the most trusted corporate movers in Davie, Florida because we really take care of your business equipment and fixtures. We are prepared to handle both local and long distance office moves anytime. Let us handle your office relocation needs today. Pick up the phone and dial our phone number. We would be happy to assist you any time. For the best commercial movers in Davie, FL, contact us today so we can give you a free relocation assessment and get started with packing and moving your stuff. Mint Movers guarantees that the services of our office movers in Davie, Florida will not come with any hidden charges. If you want to get free moving quotes, don’t hesitate to reach out to us.